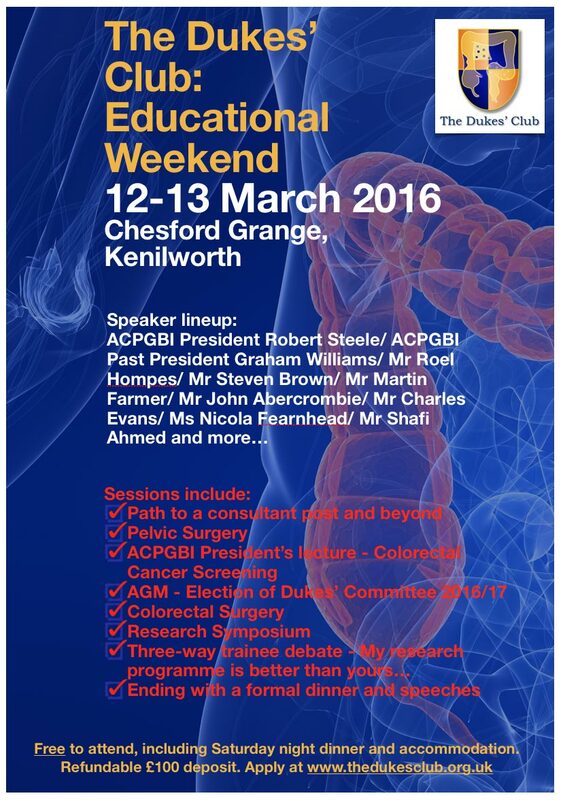 The Duke’s Club, for colorectal trainees, is hosting its annual educational weekend on 12-13 March at Chesford Grange, Kenilworth. Great time to learn and network, all for FREE. Go to the website for more details and application.